Chinese painting, with its emphasis on the beauty of simplicity, smooth brush strokes and graceful designs, reflects time-honored principles of Chinese philosophy and culture. Practicing Chinese painting is a great way to relax and creatively express yourself. 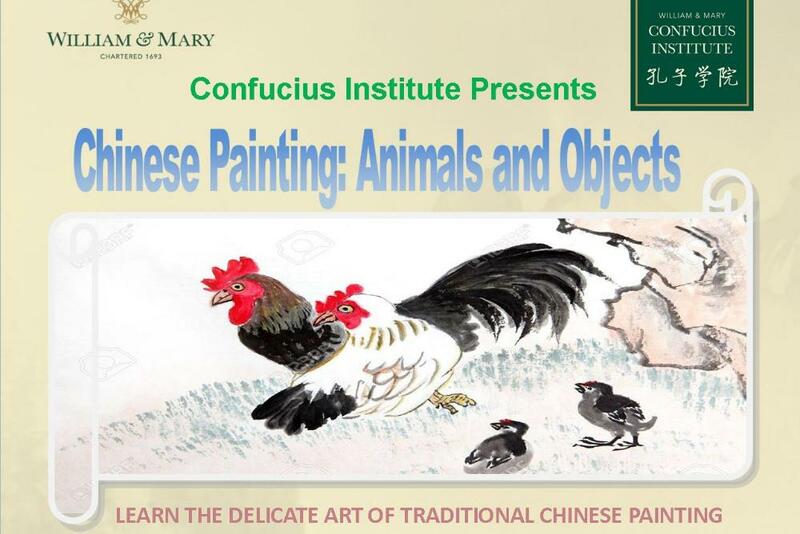 During this course, students will learn basic knowledge about traditional Chinese painting and its differences from western works, appreciate different kinds of Chinese painting, and work on traditional Chinese flower and bird paintings. Our schedule will include lessons on painting orchids, bamboo, lotus flowers and forsythia, along with butterflies, dragonflies, swallows and pandas.